Cauliflower cheese, you say? Bored, bored, bored*! I know it’s an old favorite and on a chilly Sunday afternoon with a roast dinner, maybe it has a place. However, on a balmy evening in Miami, with a 24 oz, grass-fed, naturally-raised beef porterhouse sizzling on the grill we have no business with the often overcooked cauli. 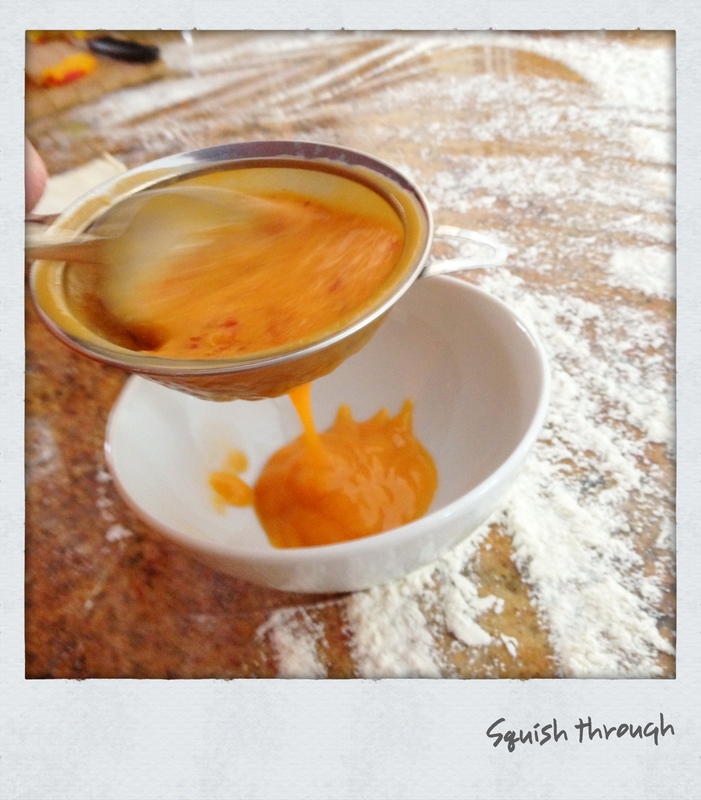 Its sometimes floury sauce and its fat-oozing cheese do not belong on our dinner plates. With a bit of special treatment though, the humble, pale cauliflower can come into its own. 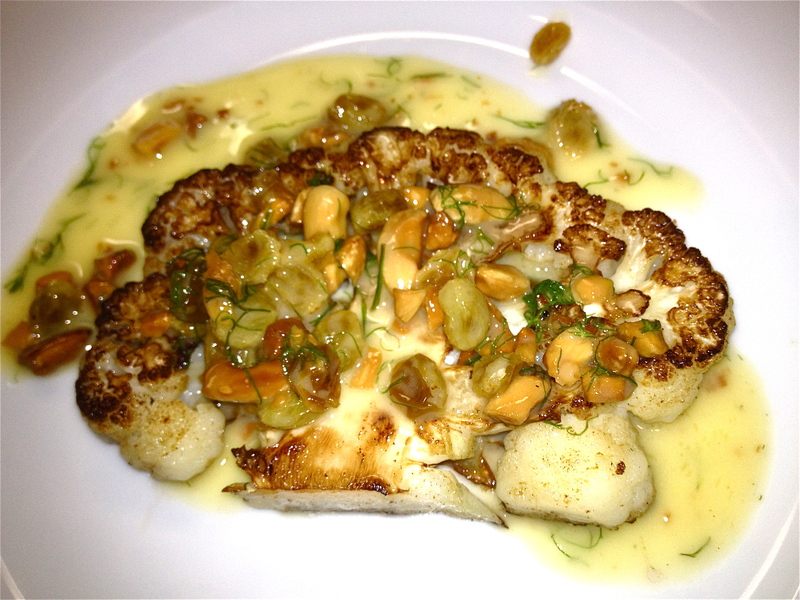 Some years ago Ian Leckie, head chef at Sam’s Brasserie did something very similar with roast cauliflower as an accompaniment to sea bass and last year I had an appetizer at a Miami local that was similar to what I’m going to show you here. So it’s not a totally new idea, but hopefully it is new to you. 1 small handful of raisins or sultanas, soaked in a little warm water for about 1/2 an hour and then drained (I like the colour-match of the sultanas in this dish so that’s what I used but remember they are sweeter than raisins). 1 small handful of whole, blanched almonds. 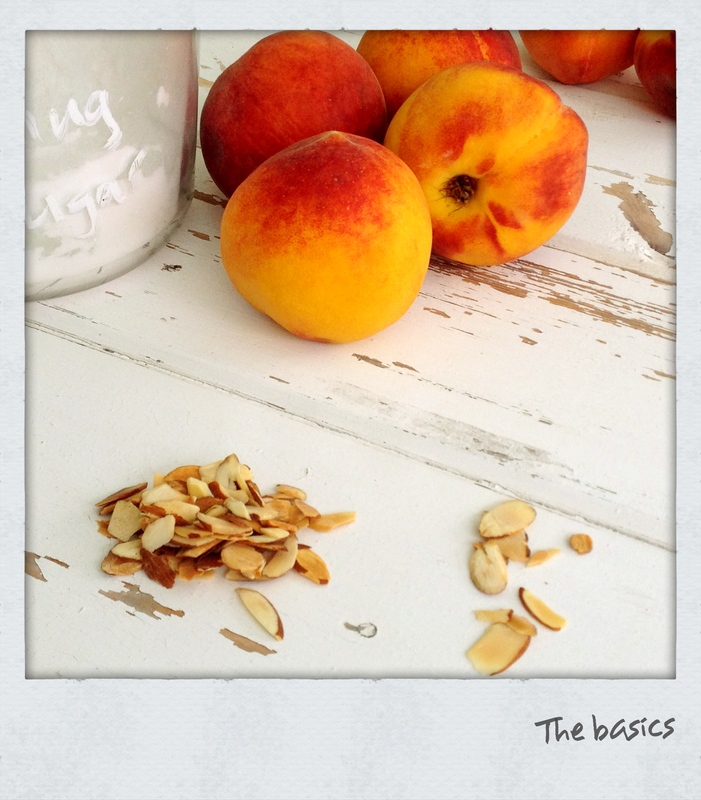 If you’ve had almonds sitting in your pantry for months, please taste them before using them. Nuts go rancid, especially in warm store cupboards. 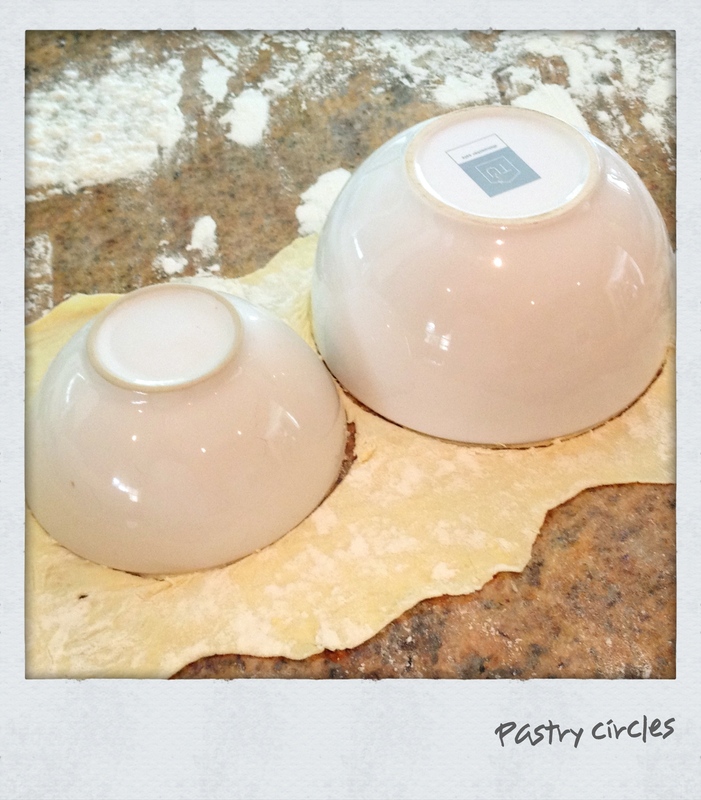 Wine reduction: you need this for your butter emulsion. Put all the ingredients into a small saucepan, bring to the boil and reduce until you have about two table spoons of liquid. 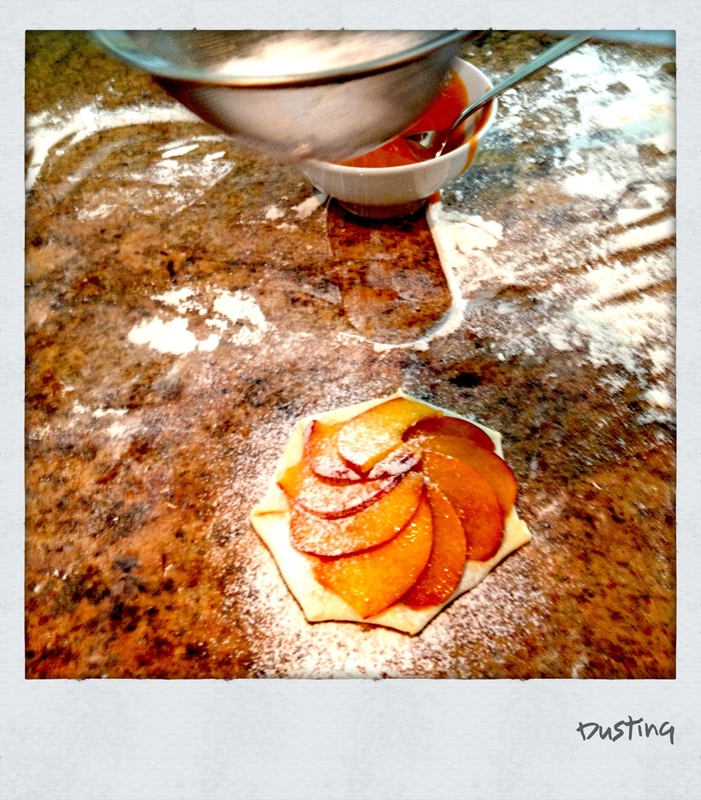 Remove or strain out all the bits, reserve the liquid and set aside until you need it. 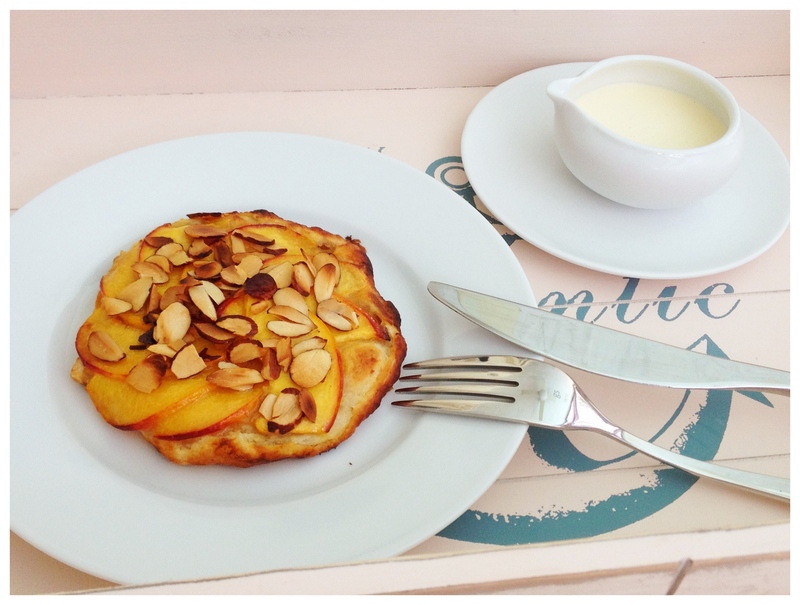 Almonds: toast in a preheated oven at 180 c for ten minutes, more or less. Keep a close eye on them, you want them brown but not burnt. 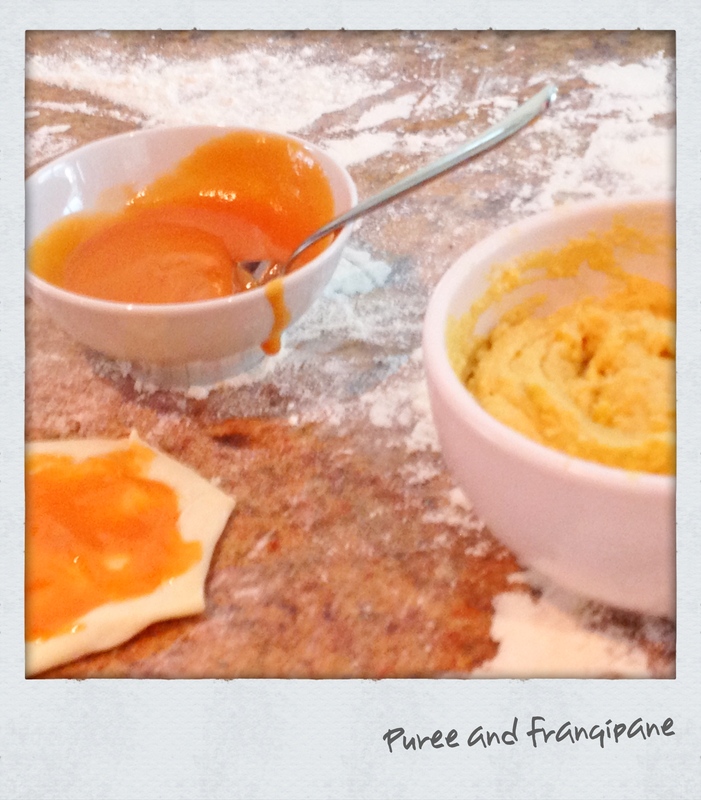 Let them cool and then crack using a pestle and mortar or chop them up with a sharp knife – not too finely though. 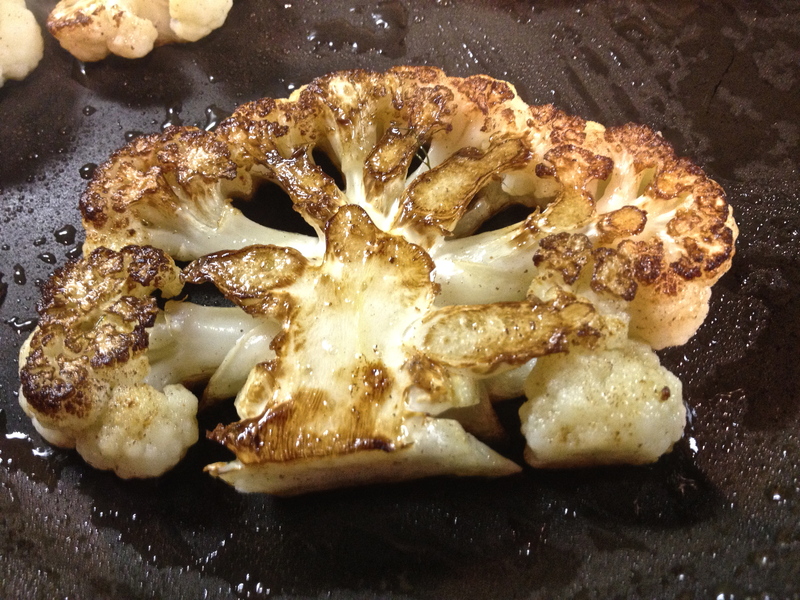 Cauliflower: While the almonds are toasting you can prepare the cauliflower. Cut a little off the base of the cauliflower to give it a flat side that you can stand it on. Using the longest knife you’ve got, slice the cauliflower into “steaks” – I like them about 1.5 to 2 cm thick but whatever suits you is fine. 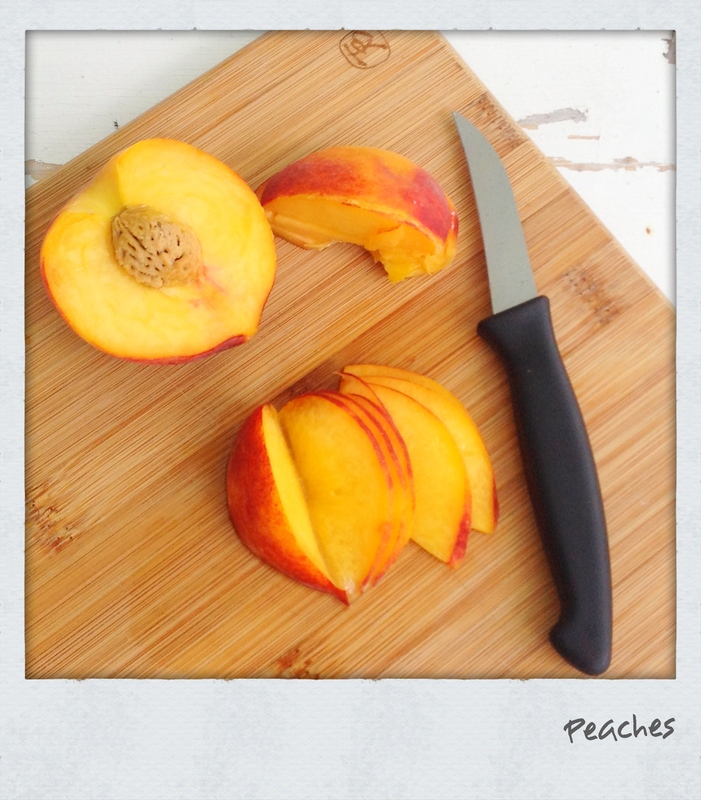 Remember though that if the slices are too thin the florets may break off. In a shallow pan, bring enough salted water to the boil to cover the cauliflower slices – it’s hard to find a pan that will hold four slices of cauliflower so do this in batches, it only takes a few minutes. Blanch each slice just long enough to ensure you no longer have raw cauliflower. You still want it quite firm. Drain and set aside. Tip the water out of your pan, give it a wipe down, toss in one or two of your cubes of butter and return the pan to the heat. Once the butter has melted and started to foam, swirl it around the pan to cover the base, return the cauliflower to the pan, reduce heat to medium and sauté each side until you have a good caramelization over the cauliflower. 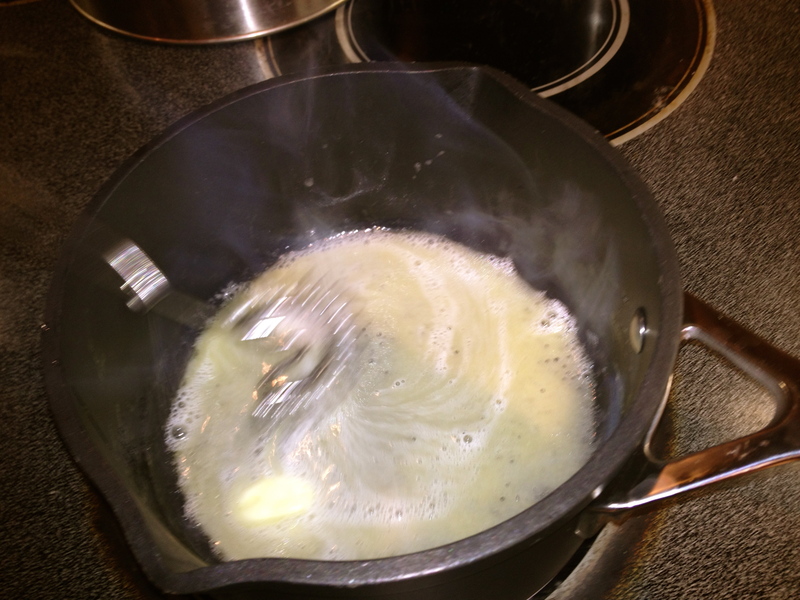 Butter sauce: While the cauliflower is browning in the sauté pan you can prepare the butter emulsion. Emulsions can be a bit precious and tend to split if not treated with love so go slowly, use very very cold butter and keep whisking. Put your reserved wine reduction into a small saucepan and place over a high heat. It will only take a few seconds for the reduction to heat up and when it has, reduce the stove temp and start adding your butter, one cube at a time, whisking all the time. 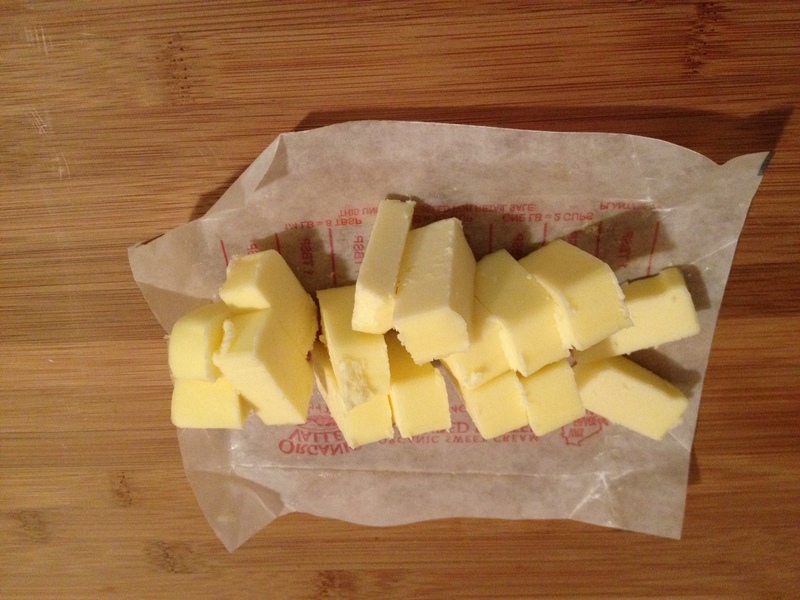 Don’t add more butter until the cube in the pan has completely melted. You may need to remove the pan from the heat from time to time, you don’t want this to boil. Keep a jug of boiling water nearby and if you see your emulsion starting to split, add a few drops (and I do mean a few drops – like a teaspoon full) of boiling water and keep whisking, it will come together again. 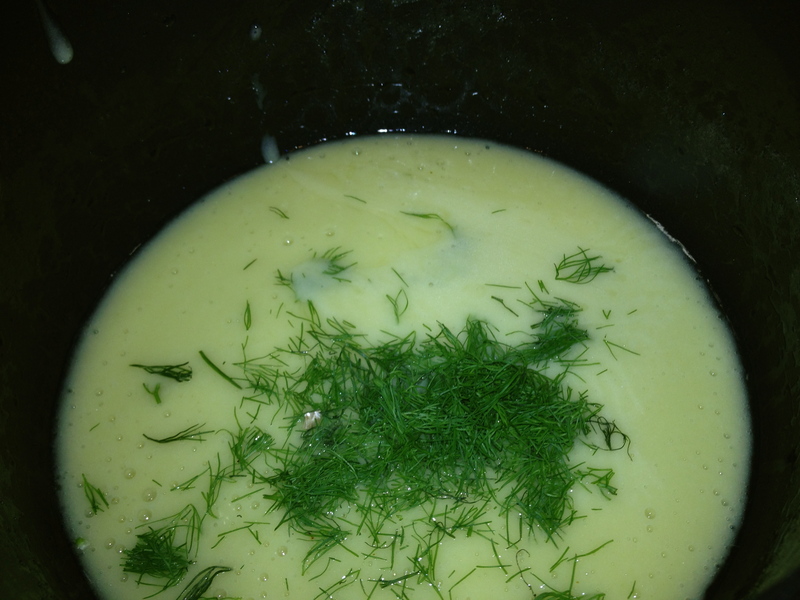 Once all your butter is incorporated, stir in your fennel fronds or dill and remove from the heat. 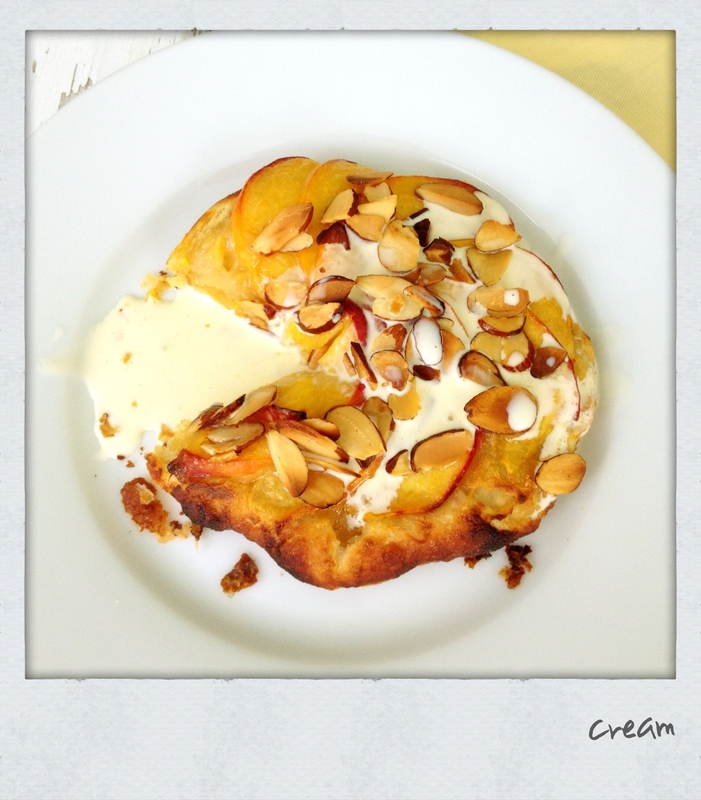 Add the roughly chopped almonds and the drained sultanas to the butter sauce and season with salt and white pepper. Put the cauliflower slices on a serving plate/plates and spoon over the sauce. Cauliflower “steaks” – great for presentation but can be finicky to prepare and is not really necessary. 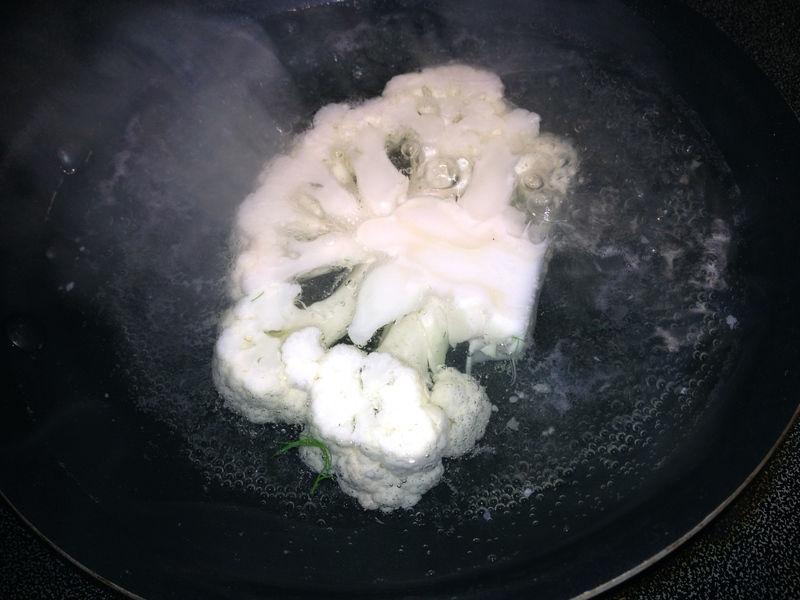 The same awesome flavor is achieved by simply breaking the cauliflower into florets, blanching them and sautéing them. 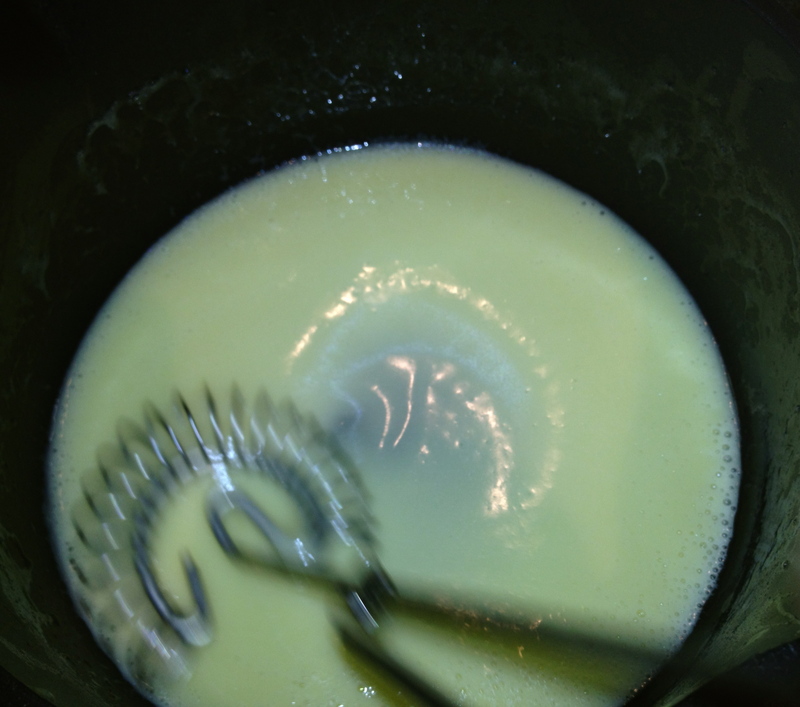 Butter emulsion – regardless of the quantity of sauce you are making, you will not need more than two tablespoons of the wine reduction. If you prefer not to use wine, the same effect can be achieved (with obvious flavor differences) by using a wine vinegar reduction or simply using water. This type of butter sauce is a good one to have in your repertoire – it does not contain egg, is quick to prepare, can be flavored with just about any herb and can be used on any number of dishes – grilled/steamed/poached fish, as a dipper for asparagus, as a garnish on other veggies. * Apologies to any cauliflower cheese I may have offended with my cries of boredom, it is in fact, still one of my favorites.